Brigitte Wittgren is our walker for February. She is 74 years young, divorced and has 2 children and 4 grandchildren. She moved to Lake Havasu from Indiana where she was a district manager and consultant. In Havasu she was a school bus driver and is now retired. Brigitte enjoys walking at Rotary Park, exercising and socializing at Titan Gym. 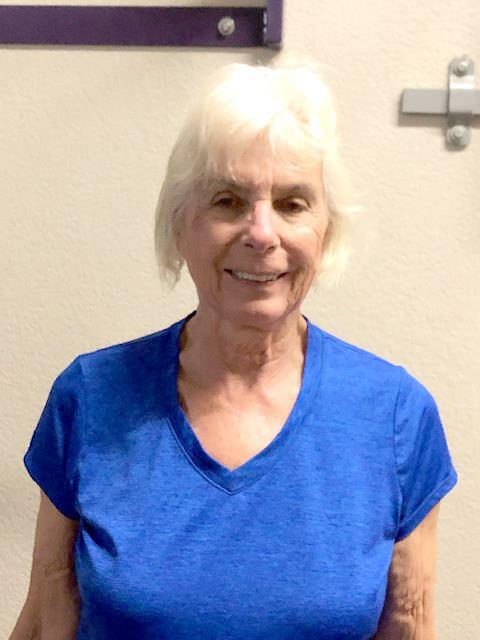 She does Tai Chi, Stretch and Tone and kayaks several days a week. She does some form of exercise 7 days a week. Brigitte exercises to keep breathing (she has asthma) and to keep her joints moving.